Home / Leadership and talent development / Pour a Cup of Ambition, Get a Little Respect, Hear Me Roar! Pour a Cup of Ambition, Get a Little Respect, Hear Me Roar! After a long and rigorous application process and with detailed financial and operational disclosure, our New York Division of Minority and Women’s Business Development officially recognized Tal Solutions as a WBE. I feel a very strong sense of accomplishment and am proud of the recognition for my company. I am now a part of a larger community of women that own their own businesses – and this is important to me as a woman and to Tal Solutions’ brand values. Why WBE Certification Is Important to Me. At first, it was just important that I be recognized as a Women-Owned Enterprise, especially after 25-plus years of working for a global financial corporation in my former life. After all, I have been building something important on my own as a woman over the last several years. 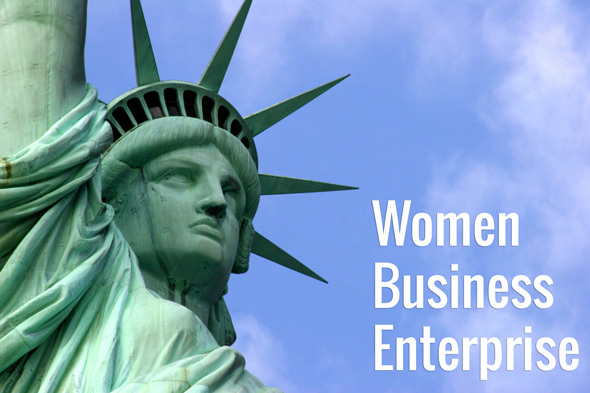 It’s only now – after exploring the benefits, attending workshops, and networking with other women business owners – that I fully understand that being certified as woman-owned business allows me access to potential contracts and work that would be within the New York State government. I also have access to many different types of opportunities within statewide corporations. Today, just like corporations are paying more attention to the diversity of their employees, they are also taking care to build a more diverse network of vendors, contactors and consultants. Throughout my career, diversity among my staff and colleagues has always been essential to my teams’ successes – it’s the diversity of thought that’s critical for informing, broadening and valuing our work. I have pursued this diversity of thought – other varied and different points-of-views – as I have grown relationships around the globe with diverse members of the financial services and analytical community. Now, I join the community of Minority and Women-Owned Businesses with more opportunities to explore diverse thinking. I feel grateful and welcome. Like the personal and professional authority that I have established in the analytical community over the last couple decades, this WBE certification lends credibility to Tal Solutions. How Will WBE Certification Help My Business and Clients. I expect the WBE certification to be a great help in navigating the complexity of the New York State government and systems. Just recently, I attended a workshop on how to bid for government contracts, and I now have access to a whole community of potential partners to help my own existing and new clients. 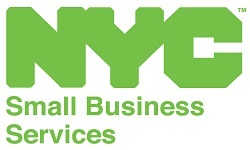 For finding more business leads, I have real-time access to a database of RFPs and bids for NY State work. Networking opportunities also abound. Trade shows, special events, networking groups – all provide opportunities to learn, grow and mentor. A few weeks ago, Metropolitan Transit Authority (MTA) reached out to Tal Solutions and provided an opportunity for a new firm orientation and possible mutually beneficial relationship with the MTA and other MWBEs. One of the things I miss about the large corporate world is the ability to frequently collaborate with other talented people. Now, the WBE certification opens up the very real possibility of collaborating with a greater number of talented women – an opportunity that I will actively seek. Who knows what tremendous value this can bring to my existing work and to new clients in the future! Already the new certification is resonating with some of my existing clients. As they are looking to establish more diverse partnerships, they now see that Tal Solutions is officially recognized as a WBE. Does WBE Certification Help Me As a Leader? One of the things that I feel is very important as a leader in general – as a woman leader and now a certified woman-owned business leader – is being a role model and mentor to other women. When I was in the corporate world, I took very seriously my role in being able to help other women navigate the largely male financial services corporate world and to help these women balance their personal and professional lives. Now, as a business owner, I feel an opportunity to be a role model in a different way. I don’t know exactly how I’m going to do this or what this exactly looks like, but I’m going to reach out through organizations like the New York Women’s Chamber of Commerce or through events, workshops and trade shows to help other women reach their goals. What Does The Analyst In Me Think About This? It’s all about the data, right? I see a lot of opportunities for digging into the data so I can understand more about women business owners. I see exploring the data to better understand diversity – not only of women business owners but also the diversity of products and services they offer. Just check back here on the Tal Solutions blog. I know there’s some juicy data here – and I’ll be writing about it in the future. Download Tal Solutions’ story to better understand how we will help you profit from hidden value in your data–and data everywhere. trademarks and Tal Solutions® is a trademark of Tal Solutions LLC.